BSA purchased the Lanchester company in 1931 and amalgamated it with Daimler. 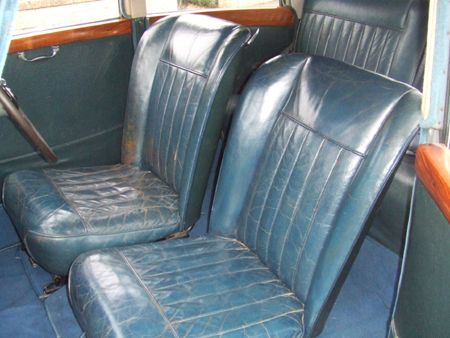 Lanchesters made from this time were generally scaled down versions of Daimler cars, although refined and comfortable, they were but a shadow of the earlier Lanchesters. The LD10 was the smallest post war car to be fitted with the self changing gearbox and fluid flywheel, it was also the most expensive 10hp car available. The early LD10s, which were designed before the war but did not reach the production stage until 1946, were fitted with 6 light all steel bodies by Briggs. A problem with supply, led to the later chassis being fitted with these pretty Barker 4 light aluminium saloons. 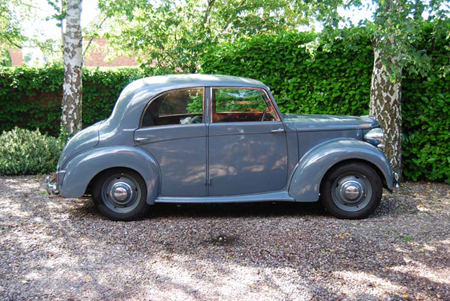 This 1950 Lanchester had only two owners from new and was in lovely condition. 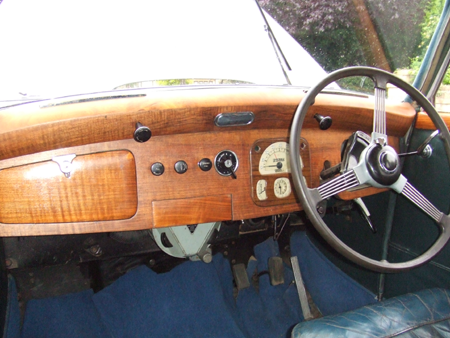 The 4 cylinder engine provided ample power for gentle cruising, touring at a steady 50 mph was easy and relaxing, the steering at any speed was precise and light. For a fairly heavy coachbuilt car the performance was surprisingly good, as was all round vision. For a small car the comfort and ride quality was truly excellent although when compared to larger Daimler built cars, a certain amount of ‘pitching’ brought on by the short wheelbase is noticeable, (this is really an unfair criticism as all of the other Daimlers and Lanchesters have a much longer wheelbase). 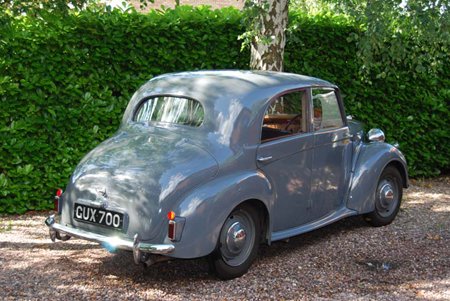 Although small in stature, the Lanchester boasts good quality leather and wooden trim, the build quality and comfort level being second to none for this class of car. The LD10 has plenty of room for 2 and adequate seating for 4, along with a useful boot. Economical and reliable, a doddle to park, room to move around it when it is in the garage, easy to work on if you have to, and pretty to boot, I really like this model, it is an ideal runaround and great for attending local shows, yet quite capable of long distances. If you plan to buy one, get the very best you can afford, you will never recover the cost of restoring a bad one. 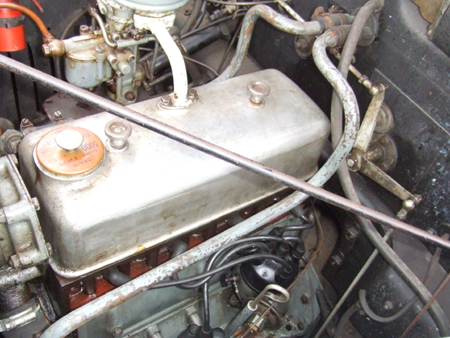 An efficient heater and locking glove box were standard fittings, brakes are rod operated and despite criticism I found them to be excellent, like all drum set ups they require regular adjustment. The seating is firm by Daimler standards but comfortable and supportive, the suspension is nicely set up and although not in the same comfort class as the much larger Daimlers it is exceptional for its size, long journeys are not a problem in this compact quality car. 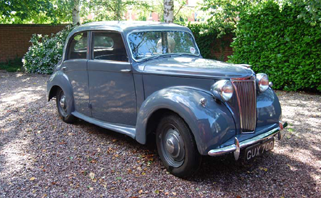 If you would like to know more about the Lanchester LD10 or have a nice Briggs bodied one for sale please contact me by submitting the form below.